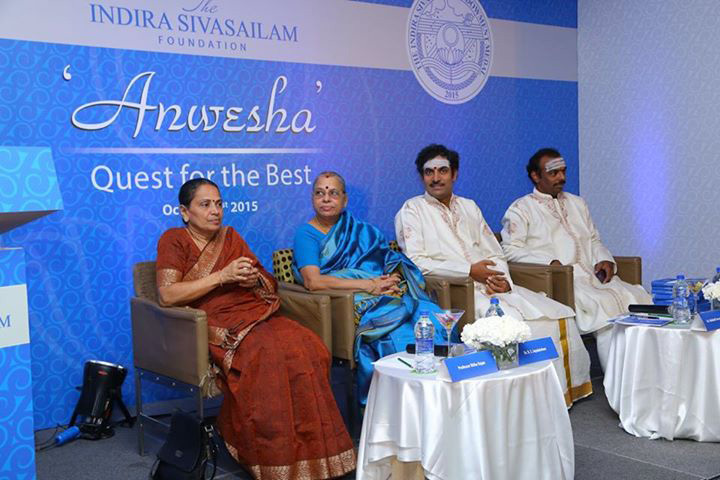 The Indira Sivasailam Foundation hosted ‘Anwesha – Quest for the best,’ as a pre-cursor to the annual Indira Sivasailam Endowment Concert for Carnatic music lovers on October 1, 2015. Anwesha is a one of a kind event which aims to bridge the gap between the artists and rasikas. It’s a platform for avid rasikas to interact with the winner of this year’s Indira Sivasailam Endowment Medal, The Malladi Brothers - Sri. Malladi Sreerama Prasad and Sri. 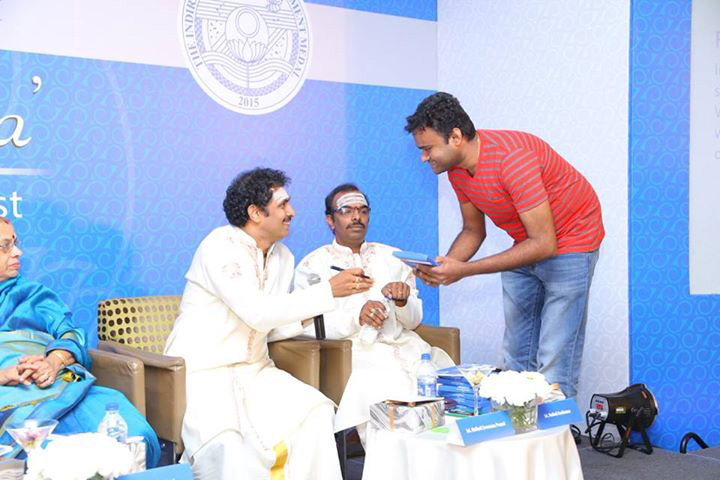 Malladi Ravikumar, through an interactive questions and answers session on Carnatic music. 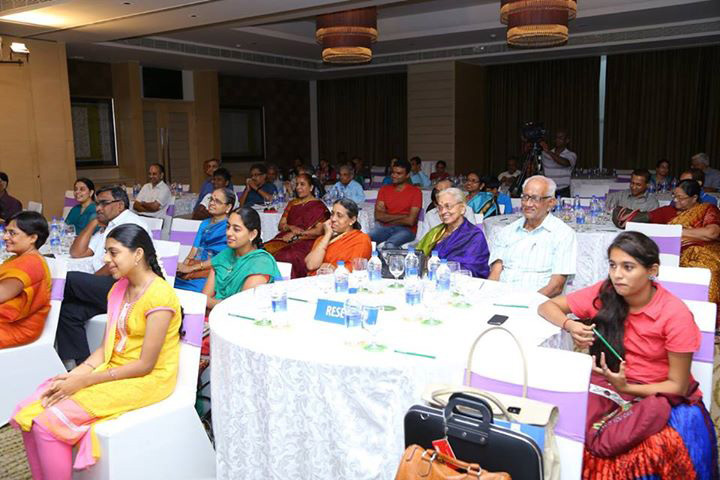 ‘Anwesha’ was run as an online contest where fans were invited to send questions on Carnatic music, of which the top 30 questions were selected and these participants were invited for the event. The contest saw participation from rasikas of all ages and from different parts of the country. 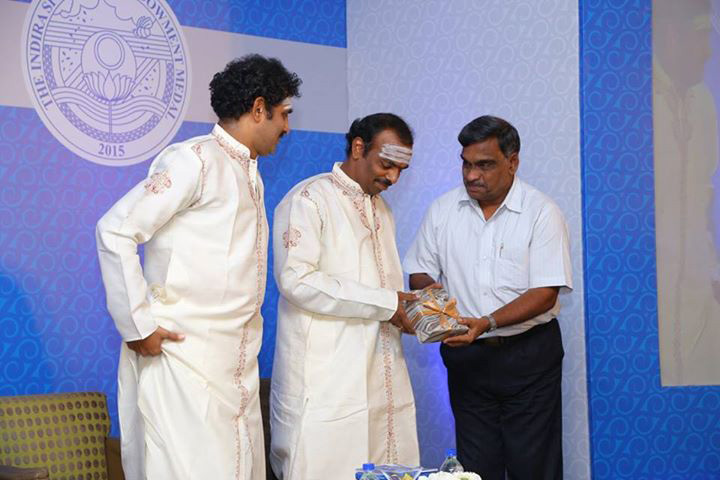 The questions dealt with different aspects of Carnatic music like revival of rare ragas, the evolution of Carnatic music, usage of instruments, concert experience and the changing dynamics of the guru–shishya relationship. The Malladi Brothers answered the top questions with inputs from the other panelists Smt. 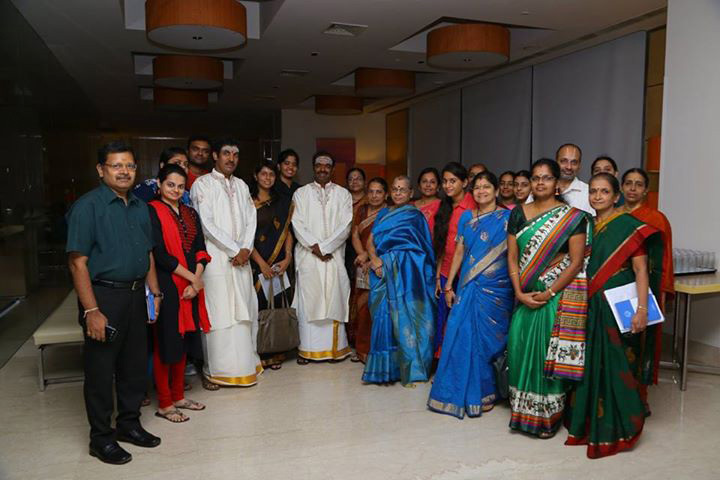 Ritha Rajan and Dr. R. S. Jayalakshmi, faculty members at the Advanced School of Carnatic Music, The Music Academy. 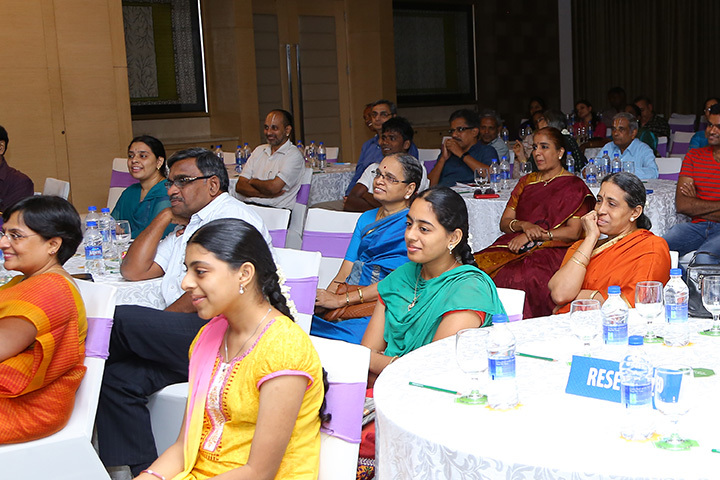 The event was packed with Carnatic music aficionados and rasikas, whose enthusiasm buoyed the spirit of the initiative. 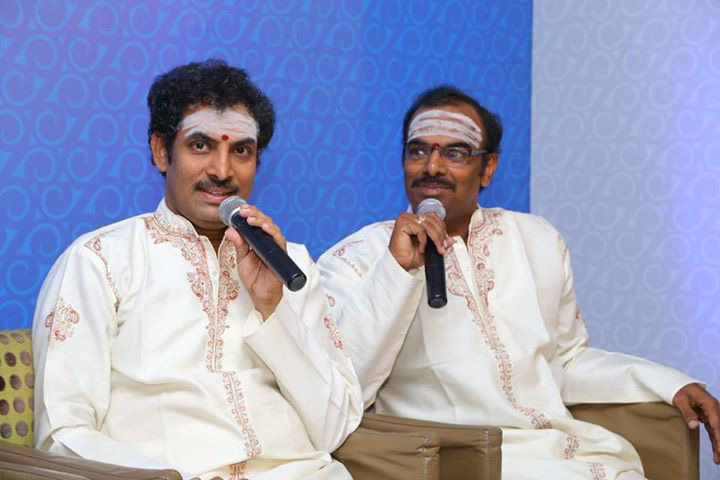 The efforts of The Indira Sivasailam Foundation were greatly appreciated by all those attending the event for the opportunity to interact with the Malladi Brothers and gaining new insights into Carnatic music. The sense of joy, having met their musical icons was palpable in the audience. 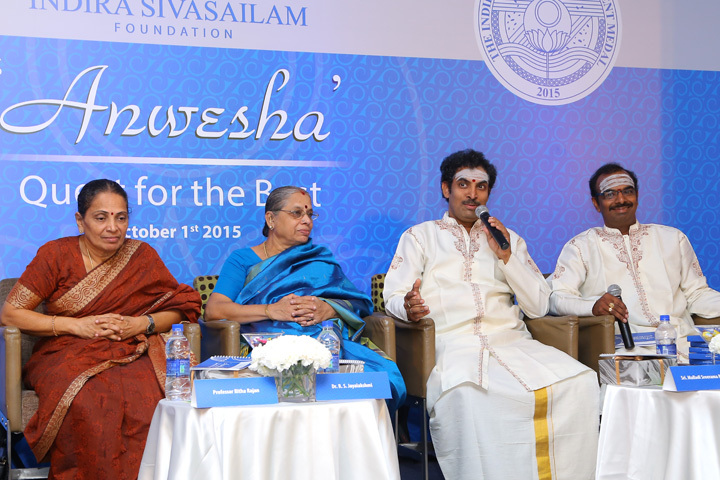 Professor Ritha Rajan and Dr. R. S. Jayalakshmi, from the Advanced School of Music, as the Anwesha jury members appreciated The Indira Sivasailam Foundation’s initiative of facilitating a conversation between renowned artists and music enthusiasts, as it helps the cause Carnatic music. The jury shared that in its third year the questions received covered a wide range of topics and the evaluation process focused on questions dealing with traditional and technical aspects of Carnatic music along with other parameters.